The state of California can and will use weapons crimes to increase the penalties for other crimes, sometimes significantly. Under California law, if a person uses a firearm, or causes great bodily injury or death with a firearm during the commission of specific felonies, they shall be punished by an additional term of imprisonment of 10 years to life. 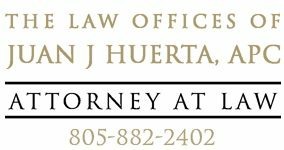 Juan Huerta is an experienced attorney that can assist with charges pertaining to assault weapons and firearms which, in many cases, are legal to possess. To discuss your case, use the form on this page to provide some details of your situation, or call us today. Your initial consultation is free.